CLEVELAND – Angered and feeling betrayed by LeBron James’ decision to leave for Miami, Cavaliers owner Dan Gilbert accused the NBA’s MVP of quitting during the playoffs. Gilbert, who has owned the Cavs for five years, said he was most disappointed by James’ behavior in the months leading up to the superstar’s announcement that he is going to Miami to play with Dwyane Wade and Chris Bosh. Gilbert said James never returned a phone message or text since the end of the season and that the Cavs were not informed of James’ decision until he went on the air. Gilbert issued a letter to Cavs fans decrying James’ actions. 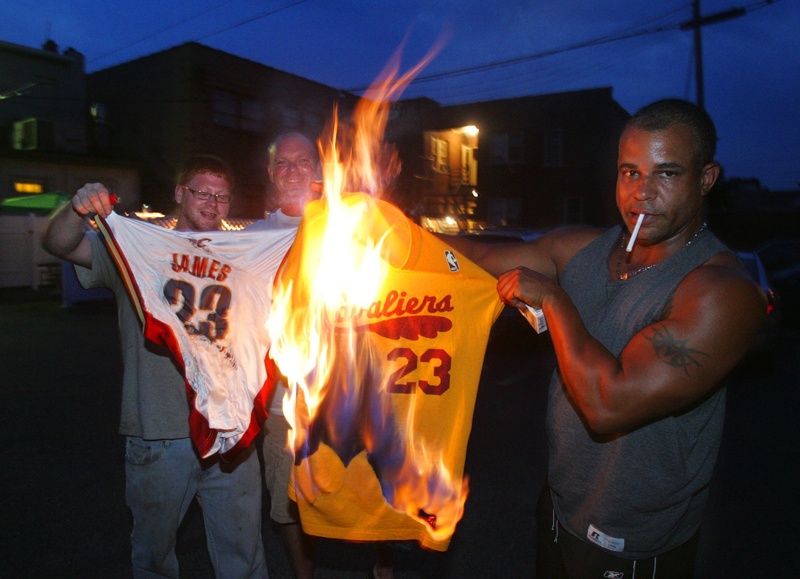 Meanwhile, Cleveland fans gathered around televisions and yelled in anguish as James made his announcement. At the Harry Buffalo bar across the street from the Cavs’ Quicken Loans Arena, some fans sat quietly stunned, while others cried out in disbelief. Men gathered around the bar and buried their heads in their hands.